Building a Difference is a grassroots documentary series featuring people, organizations, and charities that are truly building a difference in the lives of those in desperate need. Our mission is to shine a light on some of these remarkable works of charity and share life-changing stories to a worldwide audience, igniting hearts to movements of compassion. We truly believe this is what makes our series so much more than just ‘feel-good’ entertainment. As a response to what people are seeing unfold in the world today, we believe there is an awakening already at work in the hearts and minds of people seeking answers. If we can find and share hidden treasures of compassion with a worldwide audience, we can ignite hearts and awaken the missionary that lives inside each one of us. Our hope is that you will be awakened and inspired to do similar works in your sphere of influence for the people who need it the most. 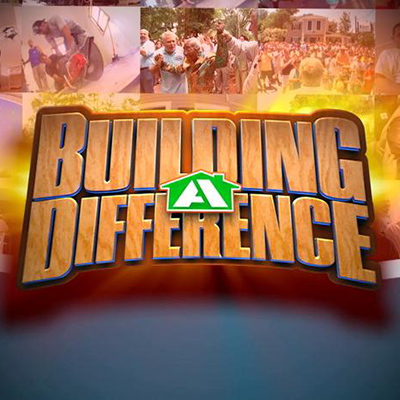 Check the schedule below to see when Building A Difference is airing this month.